Editor’s note: This article is part of a two-article editorial package. 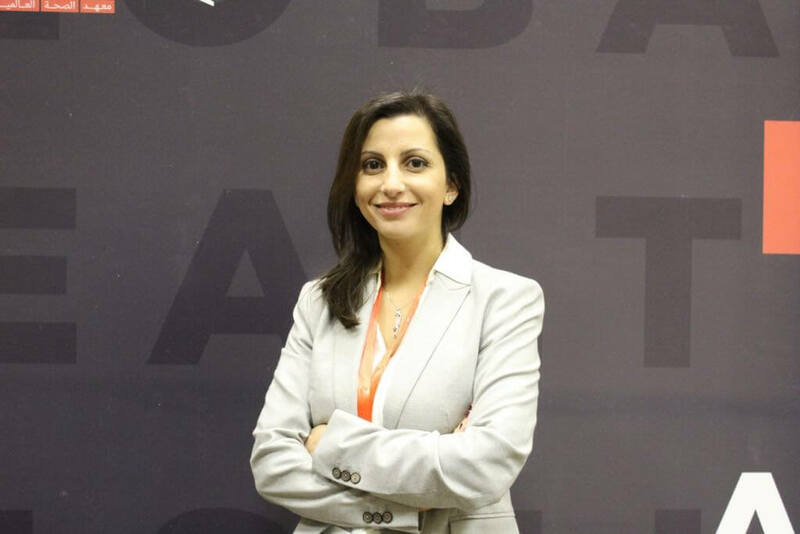 The other article, Ambitious Syrian Students Often Enter a Maze, describes the experiences of Syrian students based on a series of in-depth interviews. A survey of Syrian students pursuing advanced degrees inside Syria draws a complex portrait of those who are trying to rise to the highest levels of academic achievement, in a nation still coping with the effects of nearly eight years of civil war. In an online survey and in additional in-depth interviews, Syrian students expressed a yearning to help their country through research, teaching, and community service. They are writing dissertations on such topics as the way in which famine can cause diabetes, post-traumatic stress disorder, and recycling concrete. But for these students, success requires enormous persistence. In particular, those who live in areas held by opposition forces and want to study overseas told tales of having to pay smugglers to reach test sites, to pay brokers who can obtain educational documents, and to go to great personal risk and expense just to be able to take English proficiency tests, such as the IELTS. Syrian students face institutions, including international universities, who don’t comprehend that Syrians are unable to make online payments, due to the way in which international banks interpret sanctions. International organizations, including Coursera and Udemy, two of the larger international online course providers, are blocking Syrian students from taking online courses. Even those students who are awarded prestigious fellowships, such as the Chevening scholarships in the United Kingdom, have uphill battles to secure their final places at universities. Inside Syria, students enrolled in master’s degree and doctoral programs have difficulty getting access to online resources, recently published books and journals, and the materials needed for laboratory experiments, practical exercises, and their own research. Some students are dismissive of the quality of the education they are getting. Others say their studies are meaningful but they long for a higher quality educational experience with more international contact. Independent reviewers who have examined the results of Al-Fanar Media’s survey have said that they are credible. For instance, the proportion of “parallel” students, who pay extra fees to enroll in degree programs they do not initially qualify for academically, came close to matching exactly what is allowed at Syrian public universities—25 percent. Among the survey’s respondents, 71 percent said they were seeking an advanced degree because they wanted to “eventually make a contribution to research and teaching.” Fifty-seven percent were seeking better employment inside Syria; 43 percent were hoping for better employment opportunities outside of Syria. The lives of the graduate students provide a window into the lives of all students and of Syrian society at the moment. Thirty-eight percent of respondents, for example, said they have had to relocate in the past eight years due to the war. For Syrian residents living in government-controlled areas now, life is relatively calm if not always easy. Although an attack destroyed buildings and killed students at Aleppo University in 2013, direct attacks on campuses during the war have been rare. Universities have largely remained open, and it is daily obstacles such as security checkpoints or bureaucracy that hinder most students, not concerns about their personal safety. Many students who moved to Damascus from other regions during the conflict were allowed to study at Damascus University. This year the government told those students that they had to return to their home universities given that security risks have subsided. While Syrian public universities do not charge tuition, the affiliated costs, such as books, research, and transportation, can add up to $100 to $200 a month—a lot for a family in Syria, where the average household spending is $388 a month and salaries are usually below that level, according to Jusoor for Studies Center, an independent research institution based in Istanbul. At Damascus University, a common practice among some students is to collaborate with outside dealers to sell bootleg slides and notes from lectures. The cost of those notes has gone up from around one Syrian pound a page before the war broke out to about five Syrian pounds a page, students said, with a single lecture requiring 60 or 70 pages of notes. For a month, students said lecture notes cost about 4,000 pounds or about $18 a month at current rates (Oanda.com on November 15). An outsider unused to this practice might believe that the students should simply attend the lectures themselves. But the practice has become engrained in university life even if many professors don’t like it. “The university isn’t participating in this but can’t prevent it,” said a professor. Many students also have great difficulty getting to lectures regularly. For example, a student who lived about 12 kilometers from Damascus University said roundtrip bus fare cost about 600 Syrian pounds a day ($2.79). He also had to go through seven checkpoints, so a one-way journey would take about two hours. At the university itself, undergraduates do not have access to the Internet, although faculty members and some graduate students do. While in general, facilities and buildings have not been destroyed, basic resources are often not available due to sanctions and the expense of imported materials. (Ravaging inflation has destroyed the purchasing power of the Syrian pound.) A biology student told of having a lab in which the professor simply showed the class a small bottle of the ether needed in larger quantities for an experiment with the DNA of strawberries, an experiment that was important to the students’ understanding of genetics. The professor said, in effect, I wish we could do this experiment but we can’t. The experience of Syrian students has depended a great deal on where their home was in Syria when the war broke out. “There is a huge gap between those who come from the regime-held areas and those who come from the opposition-held areas, especially now after seven years” said Kholoud Helmi, one of the founders of the underground newspaper Enab Baladi, which continues to publish online out of offices in Istanbul. She is now working toward a master’s degree in media studies at SOAS University of London. Young people in opposition-controlled areas such as Idlib have difficulty accessing the Internet, since they are dependent on expensive SIM cards in mobile phones. As a result, they have difficulty accessing online courses or information about studying elsewhere. For those who have not completed their undergraduate degrees, attending accredited online courses from such regions is generally impossible. Those young people who the government identified as activists or protesters during the uprising cannot travel through government-controlled areas, including border checkpoints. Going to Turkey or Lebanon to take an English test, such as the IELTS, a requirement for many overseas programs, is impossible unless they pay thousands of dollars for smugglers and expose themselves to great risk. Turkish border guards, for instance, shoot at those trying to cross the border illegally. 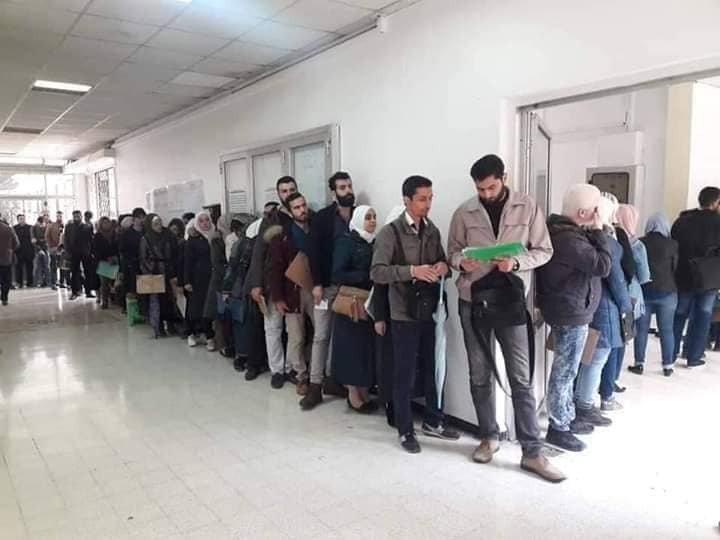 In comments on the online survey and in interviews, many students did not just express concerns about their personal situation, but a frustration at not being able to serve their country and other Syrians. Methodology and Other Details: The online survey, which was largely in a multiple-choice format, was distributed privately through social media channels and e-mail. In this article and below, numbers are rounded off to the nearest percent. • Two hundred and thirty five respondents began the survey, but 48 of those said they were not working on an advanced degree. The latter were excluded from the survey but invited to comment on obstacles to getting into an advanced degree program. One hundred and thirty five students finished the survey. • Respondents were scattered across a variety of disciplines, although the largest proportion, 36 percent, said they were studying economics. • Fifty seven percent of students said they were working on a master’s degree, with smaller proportions working on a medical degree or a Ph.D.